The Real Federación Española de Golf (Royal Spanish Golf Federation) has confirmed the Oliva Nova Beach & Golf Resort as venue for the International Spanish Senior Golf Championships to be celebrated from February 11 to 15, 2015. The International Spanish Senior Championships will host more than one hundred of the best European amateur golfers, usually more than half of them with a negative handicap. The doubles competition will take place on February 11 and 12, and the individual championship will be disputed from February 13 to 15. The usually ideal temperatures prevailing the winter months in Oliva (Valencia), together with the facilities’ qualities and the availability of more than 200 rooms in the hotel and over 200 apartments and villas for rent within the Resort make Oliva Nova the preferred destination for golf lovers at this time of the year. At the same time, the participants can enjoy an exciting International Show Jumping Competition, the Mediterranean Equestrian Tour 2015, which will be celebrated in Oliva Nova around this time. 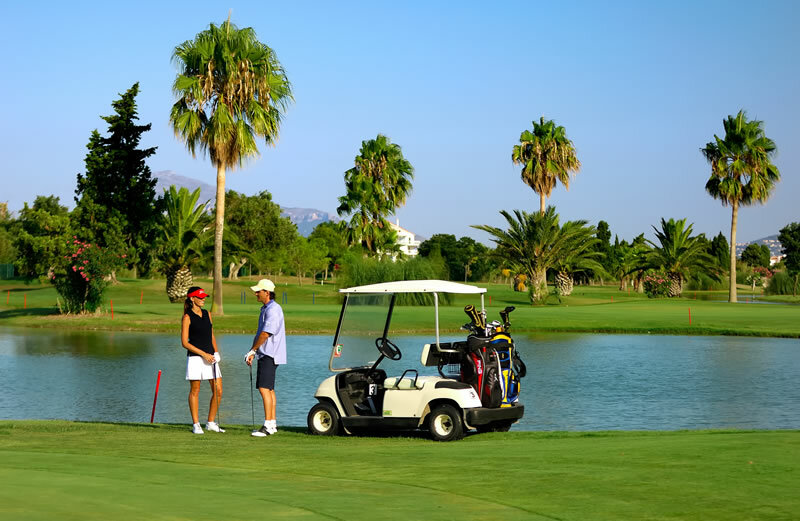 The facilities of Oliva Nova Golf, with its golf course of 6,300 m length, designed by Severiano Ballesteros next to the beaches of the Mediterranean, are commended year after year by dozens of tour operators that choose this part of the Mediterranean as destination for their best clients. Recently, the Oliva Nova Resort has obtained the Sporting Excellence Management Award, certifying those companies who are dedicated to the management, the organisation of events or sports consulting, as well as the Quality Label S10, recognising the high standing of the sports facilities, providing the athletes the necessary confidence for practising their sport. Amongst others, the Golfclub Oliva Nova, has hosted the Spanish National Peugeot Oki Championship, and different prestigious golf tournaments are constantly organised, for instance the International Spanish Senior to be celebrated in February. The hotel Oliva Nova also has direct access to the beach and the Resort offers all kinds of commodities for the visitor, including Spa and Fitness Centre, a wide gastronomic offer, commercial centre, tennis and padel courts, high performance Equestrian Centre and four football pitches where more than 50 professional teams train each year.